I get asked about homeschooling through high school several times a year, so I thought it was about time to write about it. Full disclosure, we have a VERY relaxed child-led learning based homeschool. 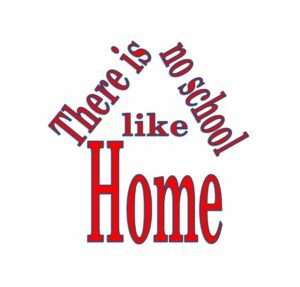 My oldest homeschooled child (I have two older step sons who went to public school most of their lives with one year each of homeschooling) is currently 17 years old, has completed four college classes through the BOCES program at our local community college. This January she will have been at the same job for 2 years and will be staring a second job, so she can pay her car off sooner. She will also be taking 2 college classes each semester this year through the BOCES program. I have said it before in my other posts: You children can learn. You do not need to force feed them knowledge, nor do you have to be a “jack of all subjects, master of none” to get them through High School math and science. (Those seem to be the two subjects that terrify parents the most). Once we switched from trying to replicate school at home to child led, interest-based learning, we used only curriculum that could be student directed, not curriculum that required a teacher. I am available to facilitate, and help when needed, but my children do not have to depend on me to understand quadratic equations or all the components of cells. By high school, you should be more hands off, allowing your children to take responsibility for their education. The single most important thing you can do as a homeschool parent is to help your children learn how to learn. If your children learn how to learn, they will naturally continue self-educating for the rest of their lives. Don’t sweat high school, if you and your child don’t understand something, you can figure it out and learn together. (I have learned more algebra this way than I ever did in a government high school.) There is absolutely nothing wrong with not knowing something and being willing to learn it with your child. God gave your children to you, He will equip you to meet their needs, and that includes their education. If your child is really struggling in an area you are not strong in, there are tutors, classes on Udemy and Khan Academy, and so many YouTube videos that you can use. We are homeschooling in a time where solutions to our problems are at our finger tips. You can homeschool through high school! You’ve got this!